I have the good privilege to work with colleagues that represent all the best qualities of data-driven marketers. 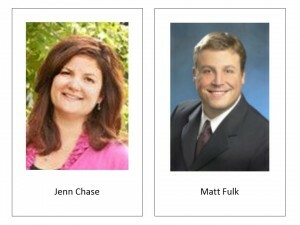 Jenn Chase and Matt Fulk lead our Marketing Services team, which has collaborated with me and my peers in dramatically improving our marketing results by using our own Customer Intelligence solutions. This "drinking our own champagne" story has garnered attention outside of SAS, and one such article was published on December 11, 2013 on the Plotting Success Blog by Software Advice. Locate and remove conversion barriers. Create high-performing outbound email lists. Improve lead scoring to determine sales readiness. The screen-shot below is part of Software Advice's original post, which has a great deal more detail. Check it out for an in-depth view of how SAS® Customer Experience Analytics has helped make lead nurturing more intelligent and easier to manage. Example lead analysis showing leads by date and status and conversions by month. I hope you've found this account helpful to envision how your customers' behavior on your website can inform your strategy for engaging with them. Please leave a comment to let us know what you think.